Concluding comings and goings of crews inhabiting the International Space Station, ISS, in 2014, Soyuz TMA-15M (Production No. 715) was scheduled to deliver three members of Expedition 42 and 43 on November 24 and return them back to Earth in March 2015. 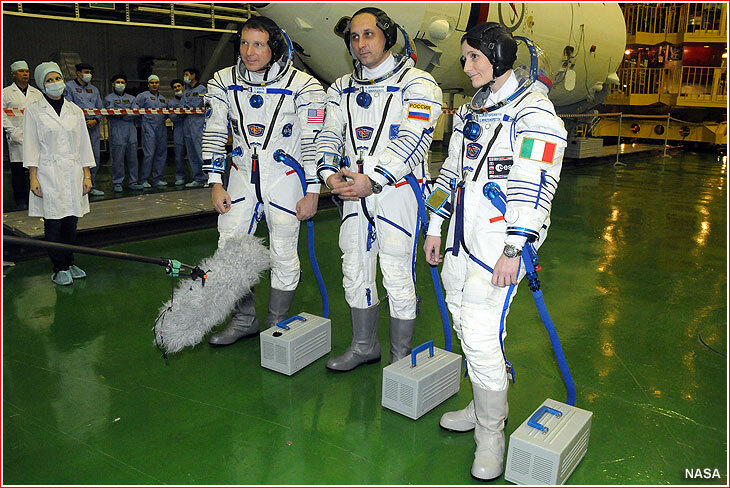 Above: In the Integration Facility at the Baikonur Cosmodrome in Kazakhstan, Expedition 42/43 crew members Terry Virts of NASA (left), Anton Shkaplerov of the Russian Federal Space Agency (Roskosmos, center) and Samantha Cristoforetti of the European Space Agency (right) listen to reporters' questions during a "fit check" dress rehearsal on Nov. 12, 2014. 2014 Oct. 30: Reports surface that melting snow got inside the assembly building at Site 112, prompting mission officials to move the processing and launch of Soyuz rockets to Site 31. 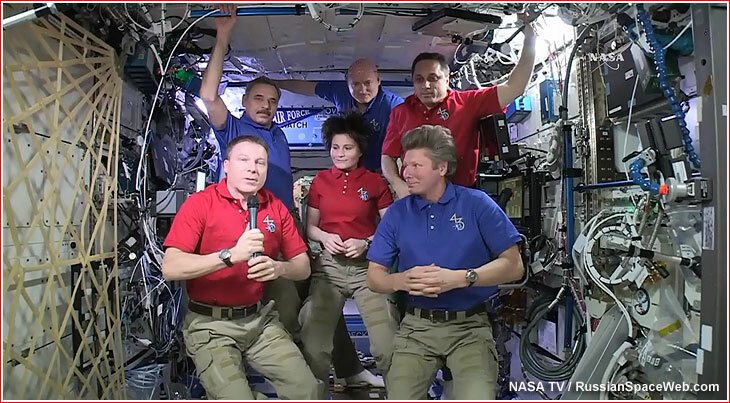 2014 Nov. 11: The main crew arrived to Baikonur from Star City. A backup crew was delayed by 24 hours, apparently, due to problems with the aircraft. 2014 Nov. 12: Inside the processing building at Site 254 in Baikonur, prime and backup crews conducted familiarization training with the Soyuz TMA-15M spacecraft. 2014 Nov. 14: Soyuz TMA-15M spacecraft is returned back to Site 254 after fueling. 2014 Nov. 14: Soyuz TMA-15M spacecraft is integrated with its payload fairing. 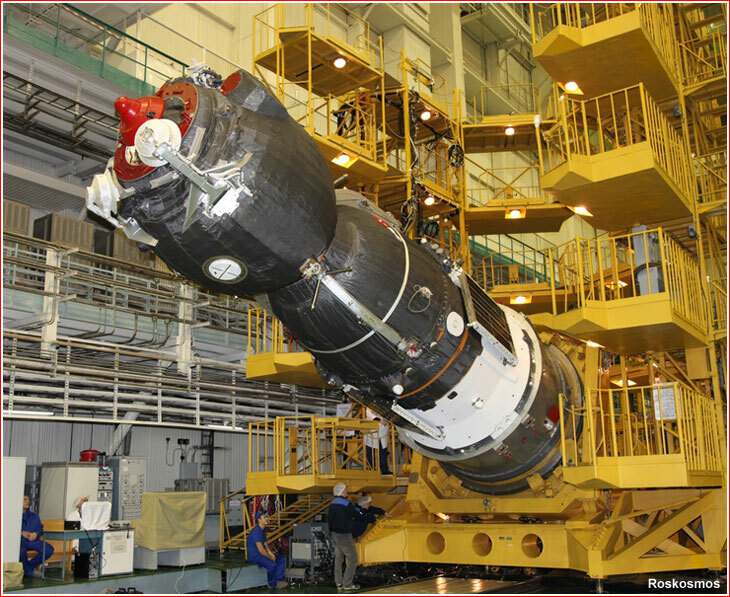 2014 Nov. 20: Final assembly of the Soyuz-FG rocket with Soyuz TMA-15M spacecraft took place inside Building 40 at Site 31 in Baikonur. 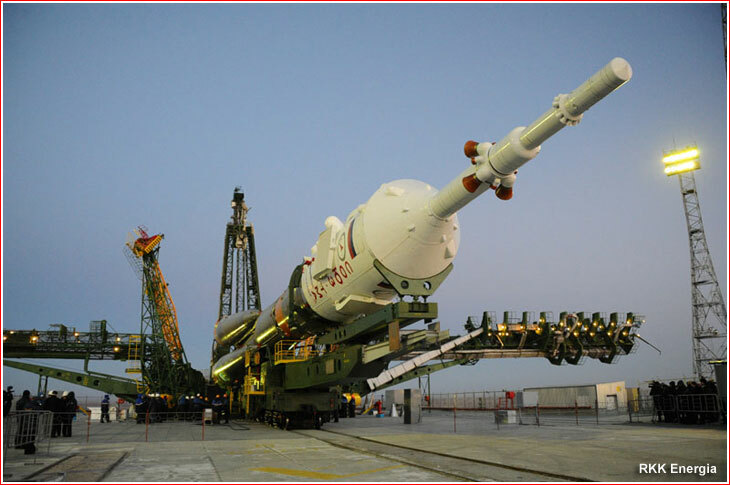 2014 Nov. 21: The Soyuz-FG rocket with Soyuz TMA-15M spacecraft was rolled out from Building 50 to Launch Pad No. 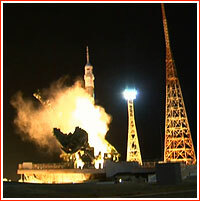 6 at Site 31 in Baikonur. The liftoff of a Soyuz-FG rocket took place as scheduled on Nov. 24, 2014, at 00:01:14 Moscow Time (4:01 p.m. EST on Nov. 23) from Pad No. 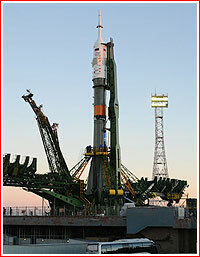 6 at Site 31 in Baikonur Cosmodrome. Following a vertical liftoff, the Soyuz-FG rocket headed east to enter an initial orbit with an inclination 51.6 degrees toward the Equator. The four boosters of the first stage dropped off slightly less than two minutes in flight, following by the separation of the second stage 4.7 minutes after the liftoff. 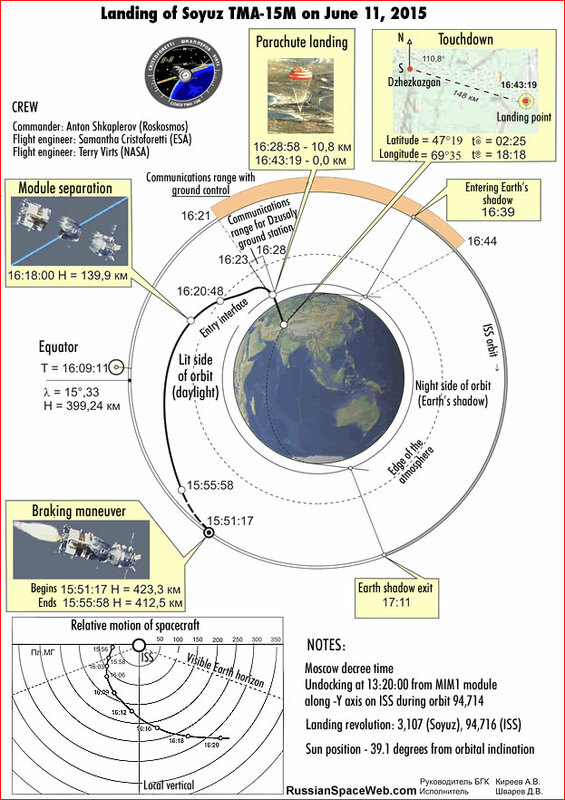 The third stage inserted Soyuz TMA-15M into a 199.06 by 242.03-kilometer parking orbit after slightly less than nine minutes of a powered flight. Without any additional maneuvers, the 7,220-kilogram spacecraft would remain in its orbit for around 30 hours, making 20 revolutions around the Earth. 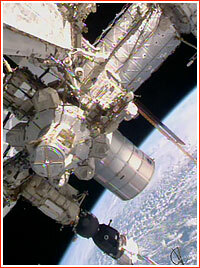 At the time, the station was expected to be in a 409 by 434-kilometer orbit, 24.6 degrees away from the spacecraft. Final docking maneuvers, which included a flyaround of the ISS, a period of station-keeping and berthing was scheduled to begin at 05:30:46 Moscow Time on November 24. The docking was scheduled to take place on November 24, 2014, at 04:53 Moscow Time but actually took place at 04:48:26 Moscow Time on November 24 (9:48 p.m. EST on November 23). According to NASA, hatches between the transport spacecraft and the station were opened at 11:03 Houston Time on November 23 (08:03 Moscow Time on November 24). On June 9, 2015, at 15:27 GMT, while the ISS was in the hands of the American mission control in Houston, the station experienced sudden roll movement, confusing the onboard attitude-control gyroscopes, according to NASA. As it turned out, the torque was caused by small attitude control and rendezvous thrusters, DPOs, onboard the Soyuz TMA-15M spacecraft. The thrusters fired unexpectedly for around 38 seconds, NASA said. 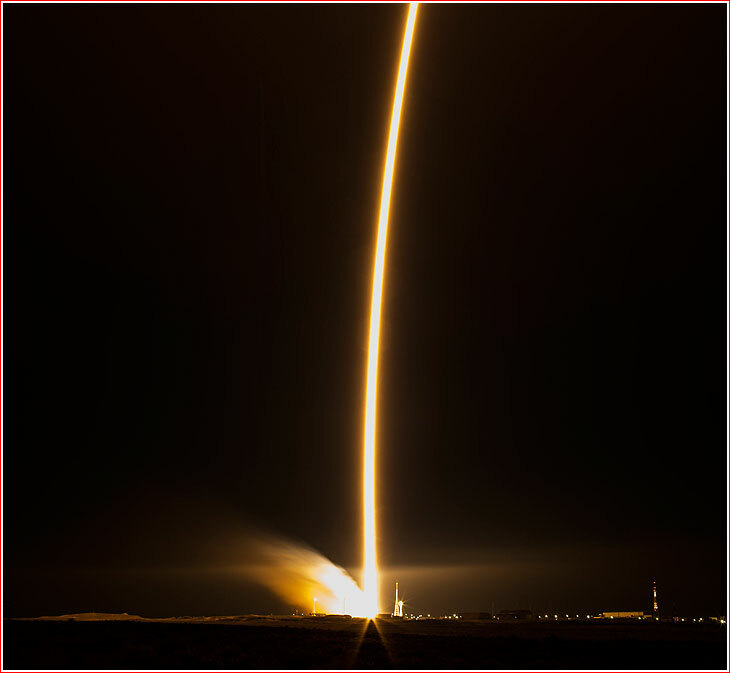 They were activated after routine checks of the Kurs rendezvous system onboard the Soyuz TMA-15M spacecraft in preparation for its undocking and landing a day later. The mission control in Korolev immediately commanded the spacecraft to stop the firing and the flight control was then safely transferred back to Houston. According to Roskosmos, the inadvertent firing took place at 18:32 Moscow Time (15:32 GMT) during the planned test of the Kurs rendezvous system. 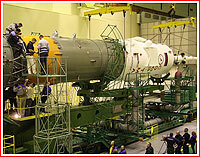 The particular hardware was located onboard the Zarya Control Module, Kurs-P, and the Soyuz spacecraft, Kurs-A. The "passive" part of the Kurs on the Zarya is responsible for the docking operations on the Earth-facing post of the MIM1 Rassvet module -- the current location of the Soyuz TMA-15. According to the official TASS news agency, the testing sequence for the Kurs rendezvous system, which was uploaded from the ground, could contain errors leading to the firing of several thrusters. At the time of the test, the crew was also preparing the Soyuz for its departure and one of its members could accidentally flip switches activating thrusters, industry sources said. Terry Virts, commander of Expedition 43, transfers command of the ISS to Gennady Padalka on June 9, 2015, officially starting Expedition 44 onboard the ISS. Following the loss of the Progress M-27M spacecraft on April 28, 2015, the departure of the Soyuz TMA-15M spacecraft from the International Space Station, ISS, had to be postponed from May 12 until June 11, 2015. 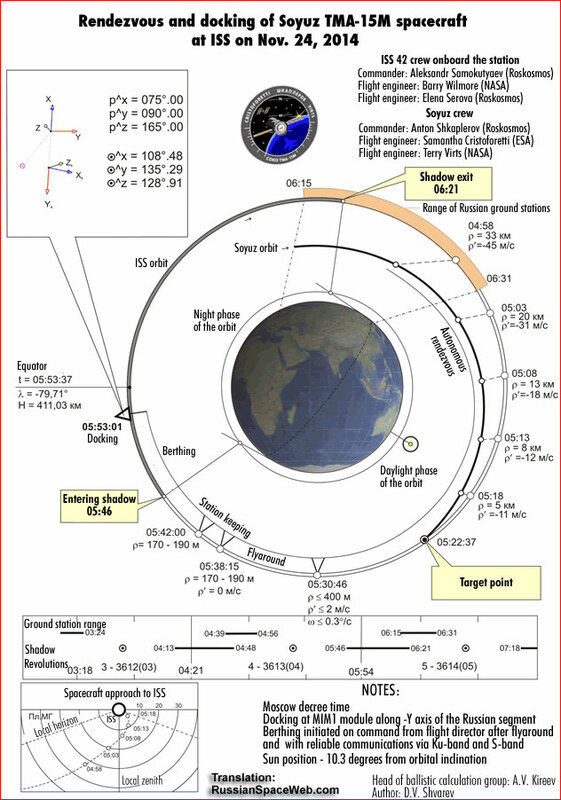 According to the new schedule, Terry Virts, Anton Shkaplerov and Samantha Cristoforetti were to board their spacecraft from 09:55 Moscow Time to 10:15 Moscow Time (2:55 a.m. - 3:15 a.m. EDT) on June 11, after 199 days in space. 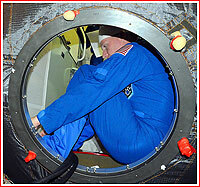 The hatches were closed between the ISS and the Soyuz at 10:04 Moscow Time (3:04 a.m. EDT) on June 11, 2015. 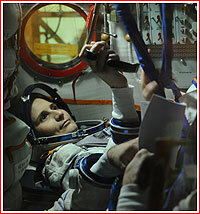 The mission control in Korolev sent an undocking command to the spacecraft at 13:18:30 Moscow Time (6:18 a.m. EDT). 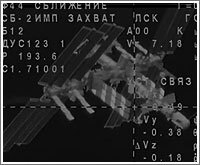 After opening of hooks on two sides of the docking port and the activation of spring pushers, the Soyuz separated from the Earth-facing docking port of the MIM1 Rassvet module on the Russian segment of the ISS at 13:20:00 Moscow Time (6:20 a.m. EDT) as two spacecraft were flying over Southern Mongolia. Three minutes later, thrusters on the Soyuz fired for eight seconds to deliver around 0.5 meters per second in velocity to increase its distance from the ISS. Another 30-second firing adding 1.5 meters in velocity further increased the distance between two spacecraft. A four-minute 40 second engine firing to push the Soyuz off its orbit was initiated at 15:51 Moscow Time (8:51 a.m. EDT), as the spacecraft was around 12 kilometers from the station orbiting the Earth over the South Atlantic of the coast of Argentina. 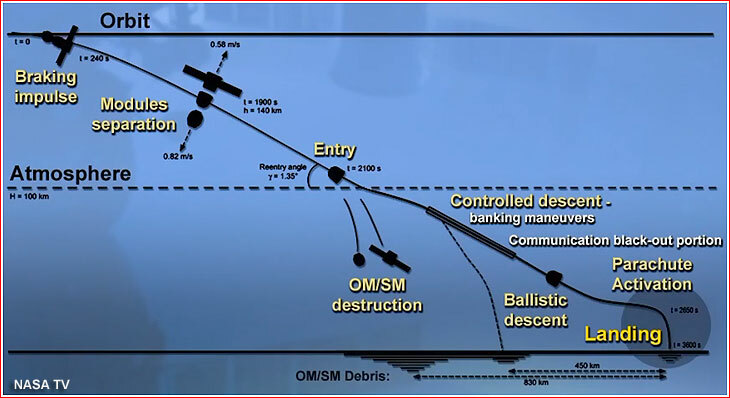 The Soyuz then split into the descent module with the crew heading for landing and into the habitation module, BO, and the instrument compartment, PAO, both of which burned up on reentry. The sunrise took place at the site at 02:25 Moscow Time. Rescue services, equipped with a dozen of Mi-8 helicopters and other aircraft had until 18:18 Moscow Time before a local sunset. Eight helicopters were deployed near the primary landing site and four others flew further west toward a touchdown point expected in the unlikely event of a ballistic reentry of the Soyuz' descent module. Good weather was forecasted for the landing region. The landing took place around a minute later than scheduled at 16:44 Moscow Time (9:44 a.m. EDT). 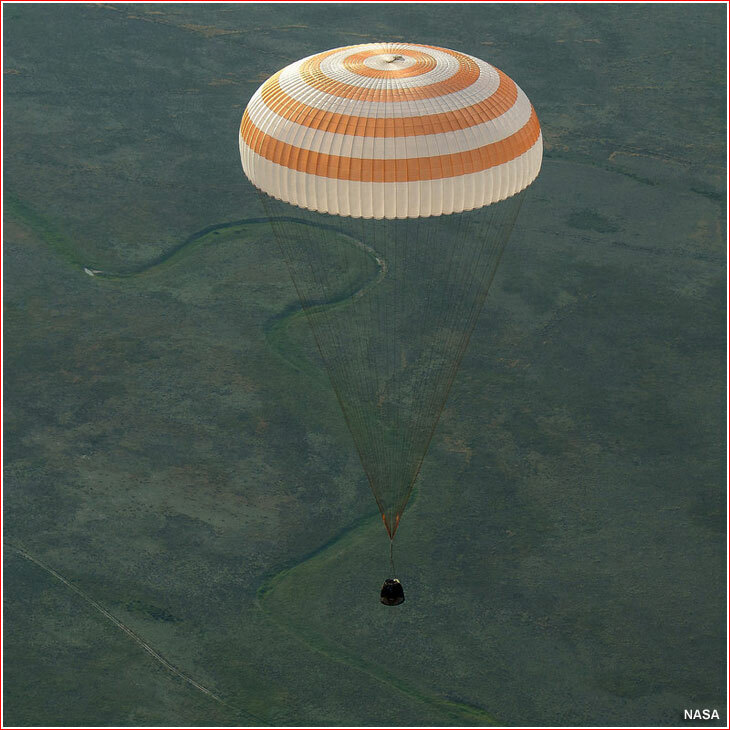 The descent module possibly overflew by as much as 15 kilometers its target touchdown point located 148 kilometers southeast from the town of Dzhezkazgan in Kazakhstan. It took just around 25 minutes for the recovery personnel to extract all three crew members from the descent module landed in upright position. The touchdown time was shifted from morning to evening time as a result of the delay of the landing from May to June in the wake of the Progress M-27M accident. Also, as a result, Samantha Cristoforetti broke a flight duration record among ESA astronauts and set a flight-duration record for a woman astronaut.